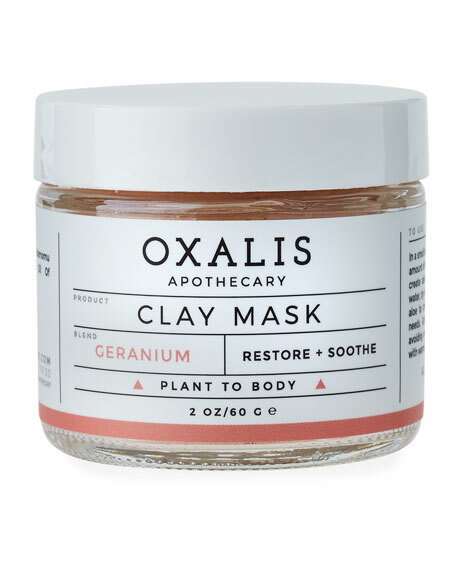 Oxalis Apothecary Geranium Clay Mask, 2.0 oz. Oxalis ApothecaryGeranium Clay Mask, 2.0 oz. 60g/ 2.0 oz. reusable glass jar. Please note: Use caution as clays may stain fabrics. Slight tingling upon application is normal.